PROformance Vend USA has a very unique approach to our micro market vending solution with Open Market. We believe that the consumer should have the most control over what they want to eat. Currently, that is not the case in most micro markets as large vending corporations dictate which products are stocked. That’s where we separate ourselves from our competitors. 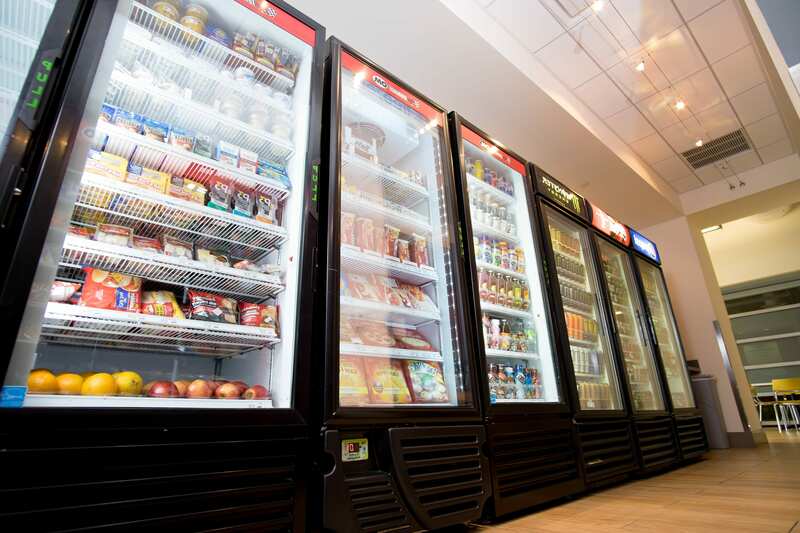 We believe that as we become more and more conscious of what we eat, it is important to provide employees with Healthy Vending options that compliment their lifestyle. Our Open Market solution allows the consumer to be in total control of what products they want. This ranges anywhere from affordable quick snacks to healthier and more exclusive brands. By tracking and analyzing which products are being sold, we continue to optimize your selection for the best experience! Our self serve kiosk system makes checking out effortless, with flexible membership options! 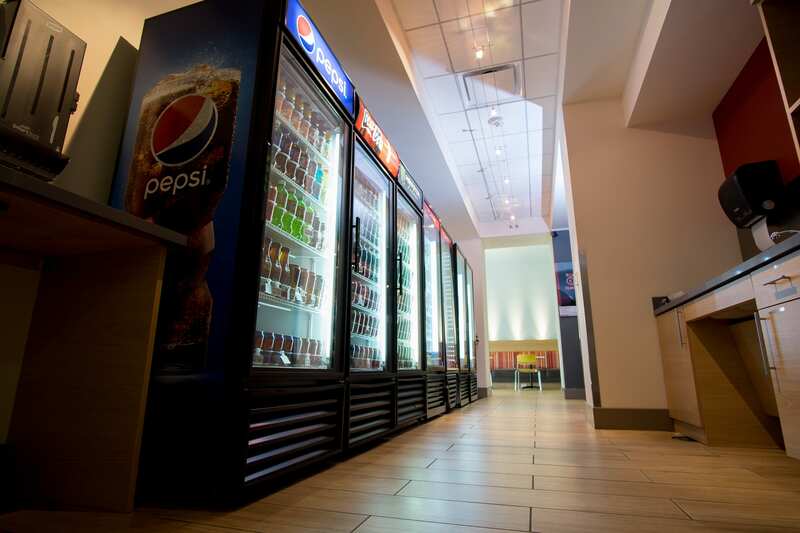 With 24/7 customer service, you can manage your break room with ease! Delivery service custom to fit your business needs ensuring your break room is always stocked! If You Have 150+ Employees in the Phoenix Area, You Qualify! Snacks – Our huge snack selection can fit every employee’s needs. We have a wide range of cheap snacks, traditional vending options such as candy bars, as well as upscale healthy options that one would find in a whole foods. Frozen Meals – Along with our large selection, we also have a wide variety of frozen snacks and lunches. These meals are extremely convenient and an affordable solution for any employee! 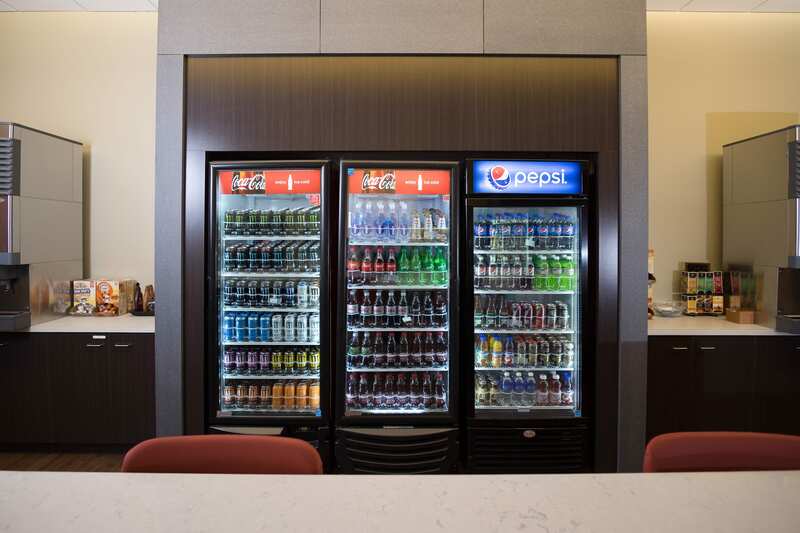 Traditional Drinks– This drink selection contains easy, convenient choice for your employees and come from all the traditional vending brands such as Powerade, Minute Maid, Energy drinks and much more. Healthy Drinks – Our healthy drink options such as Naked, POM, and Aloe Gloe hit the spot for employees that have a much healthier diet. No more having to choose between convenience and your health! Locally Produced Food –Most of our ingredients used to make the fresh food that is delivered every day is from an Arizona based source. We try our best to only buy in state and support our local markets! Vegan/Vegetarian Options – Fresh made vegan and vegetarian options made and delivered daily. Clean Labels – Knowing exactly what is in your food is important to us. Whenever you have a meal from us, you can quickly and easily see what the contents of the meal are. No Unwanted Ingredients – We have all seen those unwanted ingredients labeled on our foods. These unfamiliar and hard to pronounce terms are ingredients that you will not be seeing in meals from our healthy food items! Chef on Site – Our on site chef Adam uses locally produced ingredients to make Healthy Vending meal options. These meals are made and delivered daily to ensure the freshest experience!